The seven categories of biological taxonomy are Kingdom, Phylum, Class, Order, Family, Genus and Species. All living organisms belong to specific groups within these categories, most of which have already been established, and earthworms are no exception. You might not anticipate, however, just how many different kinds of earthworm there are. Earthworms belong to the Animalia kingdom. They are multicellular organisms that are also eukaryotic; this means that their cells have nuclei. Annelids are segmented worms. Earthworms belong to this phylum because their bodies are sectioned, creating the ridged or ringed appearance that gives the "ringed worms" of this phylum their name. The name of the class of earthworms owes itself to their clitellum: the collar that serves as a reproductive center during the adult phase of the earthworm's life. 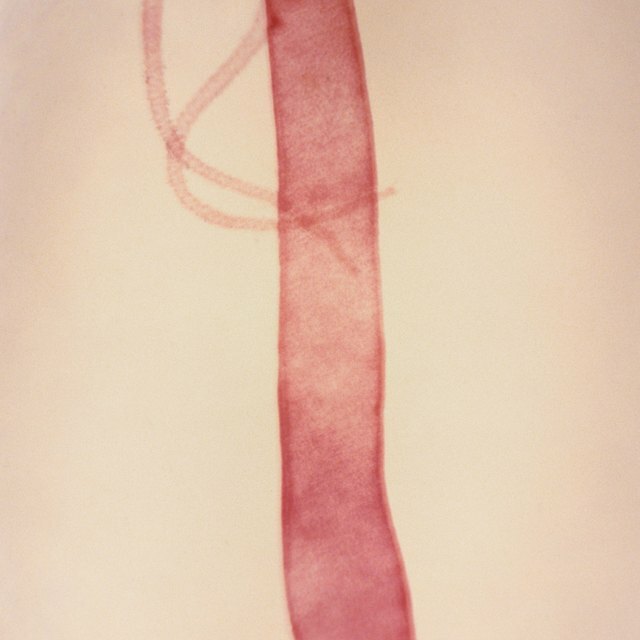 The order of earthworms is either Haplotaxida or Lumbriculida. The distinction depends on whether the earthworm has a freshwater habitat — Lumbriculida — or not — Haplotaxida. There are 16 different families to which a given earthworm may belong. In alphabetical order, these are Acanthodrilidae, Ailoscolidae, Alluroididae, Almidae, Criodrilidae, Eudrilidae, Exxidae, Glossoscolecidae, Hormogastridae, Lumbricidae, Lutodrilidae, Megascolecidae, Microchaetidae, Ocnerodrilidae, Octochaetidae and Sparganophilidae. The earthworm genus is generally accepted to be Lumbricus. There are approximately 4,400 different species of earthworm. You should be able to find out more about a particular earthworm's taxonomy by narrowing it down based on region and habitat. Local field guides and biological texts are an invaluable resource to finding the exact taxonomy of a given earthworm. Clairenstein, Goody. "7 Classifications of Earthworms." Sciencing, https://sciencing.com/7-classifications-earthworms-8233433.html. 14 March 2018.